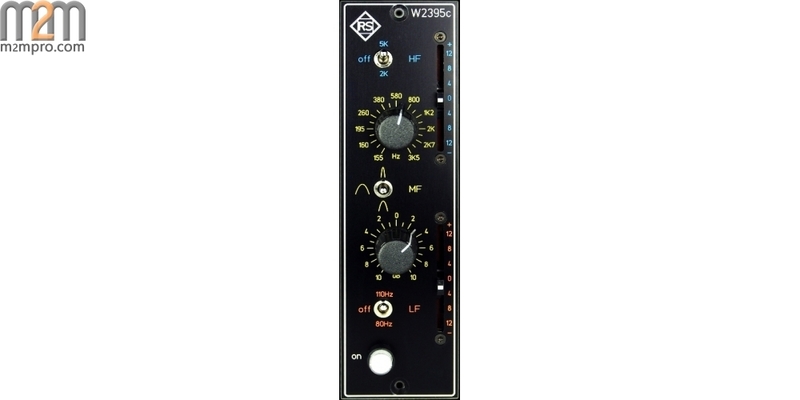 The W2395c equalizer offers versatile sound shaping possibilities for the most diverse program material. The unit provides active Baxandall tone controls for treble and bass as well as a semi-parametric mid band filter. 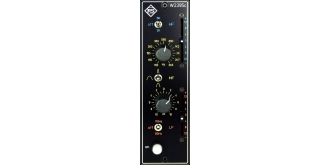 Both gain controls of the Baxandall bands are set up as faders and allow level adjustments between +/- 12 dB per band. Due to the circuit design, the high and low bands may influence each other by up to 4 dB depending on the gain setting within each band. Two three-position toggle switches allow setting the shoulder frequencies of the low and high bands to 80 Hz or 110 Hz, and 2 kHz or 5 kHz respectively. The center position of each switch marks the "off" position and may be used to disengage the filter band without adjusting the gain control. 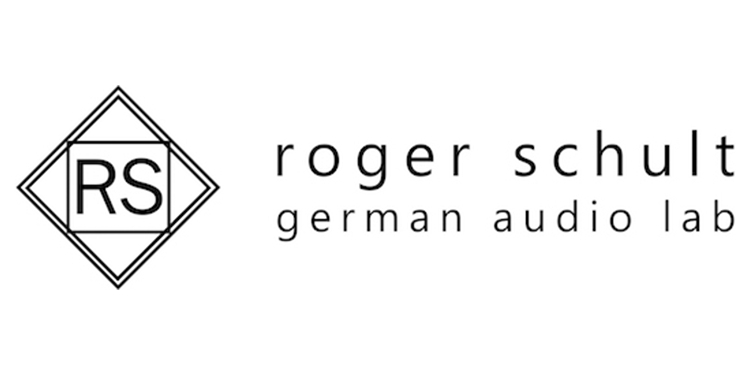 The semi-parametric mid band filter was taken from Roger Schult's renowned UF1 filter and provides a continuously variable center frequency between 155 Hz and 3.5 kHz with up to +/- 10 dB of gain. A three-position toggle switch allows setting the q-factor of the bell filter to narrow (Q = 1.5), medium (Q = 0.7), and wide (Q = 0.4). An illuminated "on"-switch allows removing the EQ from the signal path by means of a high-quality relay ("hard bypass"). Easy to use Baxandall shelving filters for high and low frequencies, and a semi-parametric mid band EQ for musical tone control. 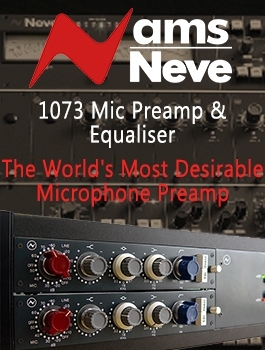 Ideally suited for recording, mixing, and mastering applications. Requires a compatible api 500 ® format rack or console for operation.